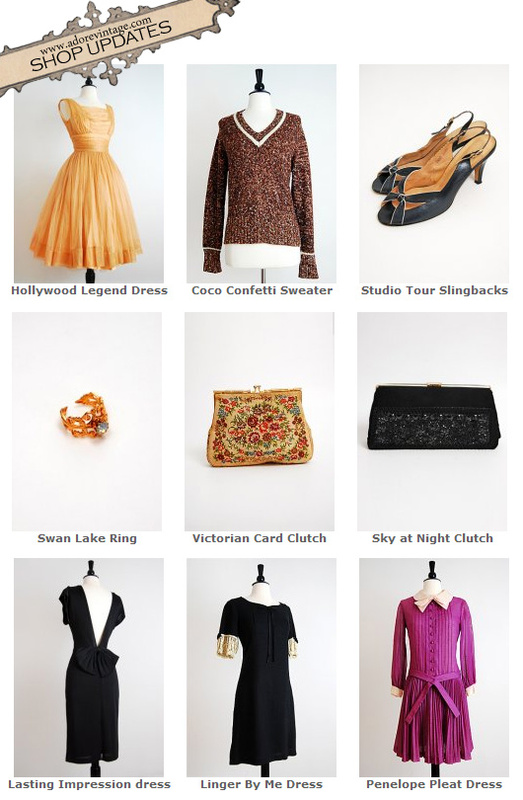 Lots of lovely new vintage in le vintage shoppe. Thank you for visiting lovelies! Love the Hollywood Legend dress sure it would look good when doing the weekly shopping..... sorry spelling mistake in previous comment should have been 'you' not 'hue' - anyway I am sure you would have got the drift. Have a great day. I love the Hollywood legend dress!! !